Times Internet Ltd, the digital arm of the Times of India Group, and global online cab hailing service Uber Technologies Inc have inked a commercial marketing partnership which also includes a small undisclosed investment to facilitate Uber's expansion in India, the two firms said on Monday. Although the amount of investment by Times Internet was not disclosed, a group publication of BCCL, The Economic Times, which first reported the development, said the investment is roughly pegged at Rs 150 crore or $25 million. It added that the deal also involves a small equity component. Given that Uber Technologies Inc is reportedly valued at over $40 billion, a $25 million odd investment would give Times Internet well under 0.1 per cent stake. Times of India Group, which runs various media publications and broadcasting initiatives, through an arm of the group holding company Bennett, Coleman & Co Ltd (BCCL) typically strikes ad-for-equity deals in consumer facing brands and businesses. Under such deals, it picks a small equity stake in lieu of advertising space/time for its media properties. It could not be immediately ascertained if the deal with Uber involves a similar arrangement and if indeed it involves a small stake in an Indian arm of Uber or the global parent. Interestingly, the pact is not routed through Brand Capital, which picks stakes under BCCL's ad-for-equity deals. It has been inked through Times Global Partners, which is part of the group's digital arm Times Internet and partners established and emerging global digital companies to expand their presence in India through growth of their brand, audience, adoption, distribution and monetisation. In the past, Times Internet has largely focused on bringing global digital media properties to India with localised ads and in some cases even leveraging its media resources to generate localised content for the Indian editions of such properties. It has partnered with digital publications like Lifehacker, Gizmodo, Business Insider, IGN, AskMen, TechRadar and Skift. However, under this unit it has also struck some deals with non-media ventures such as e-com property Fab.com (recently acquired by PCH) besides other digital ventures such as Pursuitist, ReadWrite and Remodelista. “Marketing and distribution are a key part to our strategy for success in India and there is no better partner and platform for this than Times Internet with its print, radio, OOH, and digital marketing platforms that reach over 200 million Indians,” he added. Uber has entered into similar partnerships with strong local partners in many markets. These include Baidu in China, America Movil in Latin America and American Express in the US. Last December Uber signed a deal with Mexican billionaire Carlos Slim's America Movil where the Uber app is promoted on smartphones under the Mexican telco's network. The same month Uber said it has sealed a partnership with Baidu Inc which also involves the Chinese internet firm picking an undisclosed stake in Uber. “Having spent time with Travis and the Uber team, we are delighted to partner with the fastest growing company in the world, to help bring affordable, convenient and safe transportation to every consumer in India, while developing a real spirit of micro-entrepreneurialism for thousands of drivers," said Gajwani. Launched in 2009, San Francisco-headquartered Uber is the most heavily-funded online car-hire service in the world. 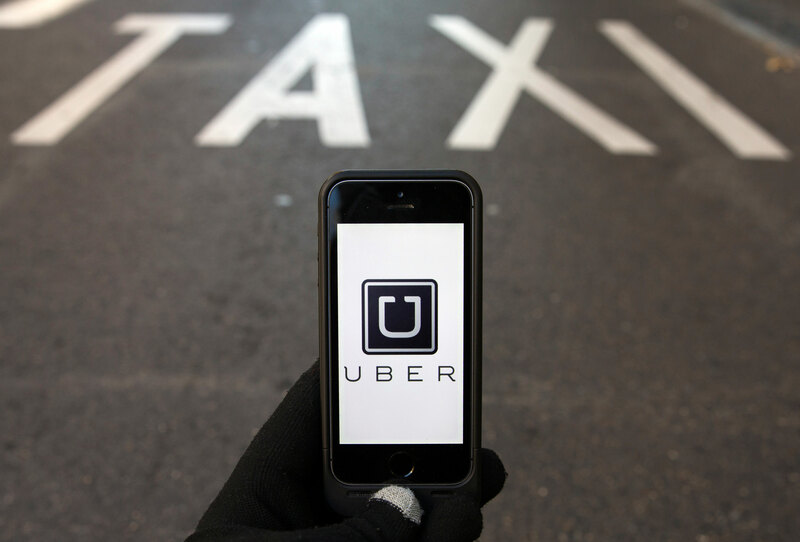 The company enables users to request a ride using its mobile apps, as well as from its mobile site m.uber.com. Uber is simply a booking platform, and the cars are not operated by the company. To date, the company has raised more than $4.3 billion. The company started its operations in India in October 2013 and is already present in 11 cities — Bangalore, Chandigarh, Chennai, Jaipur, New Delhi, Pune, Ahmedabad, Kolkata, Hyderabad, Mumbai, and Kochi. Although launched with huge fanfare it is now locked in a pitched fight with home-grown cab aggregators and service firms such as Ola and Meru over the fast growing Indian market. Ola, which had raised $210 million in last funding round led by Japan's SoftBank, recently acquired another domestic rival TaxiForSure, thereby strengthening its position. Meru, which has a hybrid business model and also continues to own several cabs as part of its original business model, also raised $50 million from existing private equity investor India Value Fund Advisors (IVFA). Both are also in talks for raising more in larger funding rounds. Uber has also been facing challenges in India after one of the drivers on its network was accused of sexually assaulting a passenger who had booked a cab ride through Uber. That passenger has sued Uber in the US. Back home it has had a face-off with some local road transport authorities which say it is operating illegally.